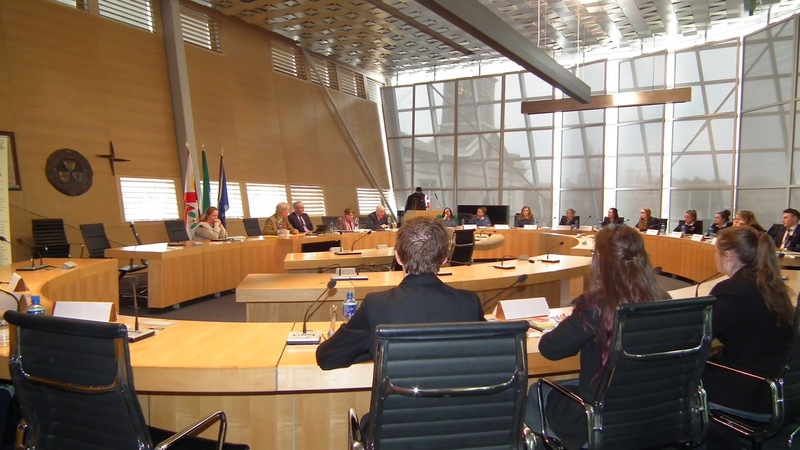 On Tuesday the 24th of February 2015, the Kildare County Council offices saw six teams of budding debaters arrive to participate in the Liam O’Connell Annual Debate. We sent along two teams, one made up of members Hannah Egan, Roisin King, and Jenna Brannock, and the other Caitlin Breen, Fionn O’Sullivan, and Sadhbh Donoghue. Holy Family, Clongowes, Rathangan and Gaelcholaiste Cill Dara also took part. Each team opened with a six minute statement. Hannah, Jenna and Roisin, as proposition, argued that political protest is not always safe, and that “swarm” mentalities stand to represent the needs of just a select portion of the population. The opposition of Fionn, Sadhbh, and Caitlin contended that political protest is crucial to ensure that all of society is heard and has their needs met. The floor was then opened to a lively open discussion. Once we all figured out how to switch on the microphones, it ran quite smoothly! The prize for best speaker award went to the captain from the Gael Cholaiste. Roisin, Hannah, and Jenna were then shocked and delighted to learn they were taking home the prize for best over-all team. They received a crystal trophy each, and a perpetual plague for the school. 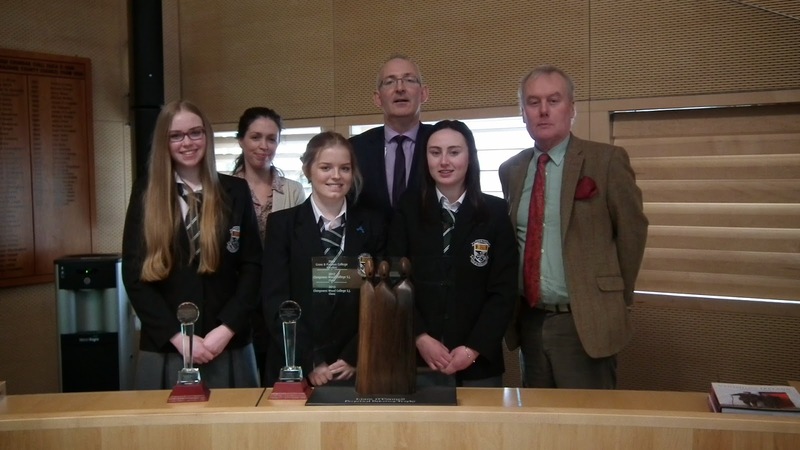 They winning team appeared in the Leinster Leader and on KFM. The standard from each team was extremely high, and the debate was a thoroughly enjoyable experience for all! Many thanks to Miss Carey for all her help.